Jay Rauwenhoff is a high-profile, Sydney based international Makeup Artist and accredited teacher. Jay trained as a beauty Makeup Artist in Paris 25 years ago. She spent several years there working on fashion shows all over Europe. She then moved to Sydney and worked extensively in the Fashion and Wedding industry for top magazines such as Vogue, New Idea, and Cosmopolitan. Jay is now a highly sought-after Makeup Artist in both the wedding and fashion industries. She works with many celebrities such as: Sigrid Thornton, Antonia Kidman, Sarah Murdoch, Jacinta Tynan, Sophie Faulkner, Catriona Rowntree, Deborah Mailman and many more. Learn how to become a Make Up Artist with Jay Jay, International Makeup Artist and Accredited Teacher. A client who wants a simple make-up, a bride who wants a specially designed make-up for her and her bridesmaids, a client who has to make a speech at a formal dinner and needs some help with make-up. Make-up can simply be another service to offer to clients but for some it can be a career in its own right. It is a chance to be creative, expressive and entrepreneurial. Design and apply make-up is the first step on this career ladder. After successfully completing all assessment tasks participants will receive a Statement of Attainment for SHBBMUP002 Design and Apply Make-up. 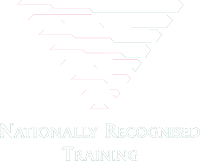 For those of you who wish to learn some quick techniques and master a certain look; or to have a taste of what is involved in the Certificate II makeup course, or just to have fun and play with makeup with a bunch of girls! Join our INFORMATIVE and FUN Makeup Workshop that is tailored to educate you how to master beautiful makeovers in no time! 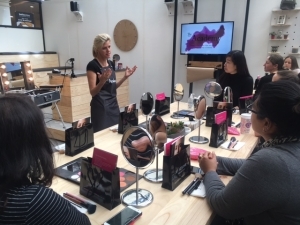 Limited numbers available in our Sydney CBD Makeup Studio! Jay Jay has developed a timeless makeup skillset for you to take advantage of. If your secret desire has always been how to apply a perfect natural day look in just 15 minutes, well here’s your chance to learn from a leading makeup industry expert. If you are interested in studying at Makeup School Sydney, please feel free to contact us with any questions. You are also welcome to make an appointment to check out the college and meet our friendly team.